THE BEADY EYE SAYS: IS ENGLAND STILL SUFFERING FROM EMPIRE FEVER DISEASE. 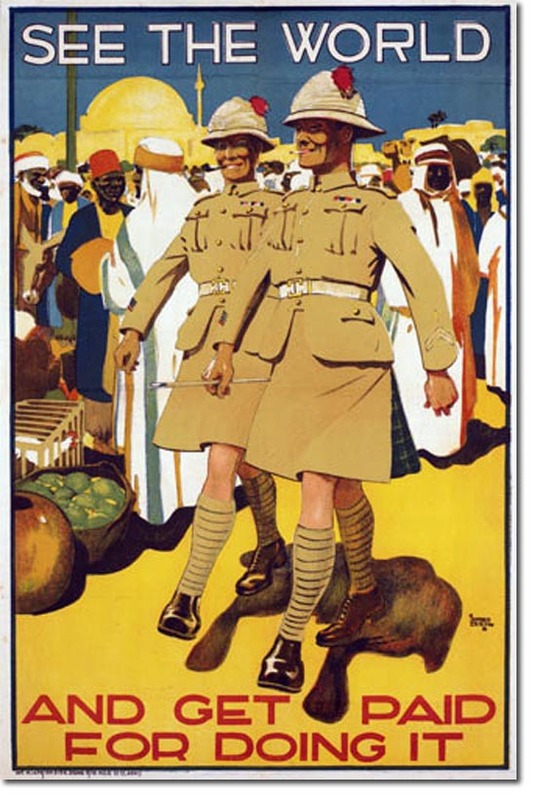 For better or worse the British Empire had a massive impact on the history of the world. It was in effect the plunder of a quarter of the world by one country. There is probably no single reason to explain how Britain created such a vast institution and I have no intention here to attempt to give one, however it might help to examine the emotional residue of lost empire, and a peculiarly English neurosis about national pride. Why? because, Britain has never faced up to the shame of empire. Perhaps Brixit is going to uncover the monumental ignorance surrounding the subject and the EU referendum is the last throes of Empire working its way out of its systems. It’s impossible to know the extent to which May believes her own myth-making but May’s global Britain will not be an open-armed nation going out into the world. It is a superannuated vision incubated by an amnesiac view of history in which the empire was an act of beneficence, and the outrages perpetrated in its name never happened. Brexit may well turn out to be a reflection of the rectitude effects left by the collapse of the Empire. In order to examine anything one needs to know it existed or happened in the first place so as to bear witness or to do anything about it. The question is what were the motivations behind the creation of the Empire itself? In world history was it a positive force or a negative force is in many ways irrelevant, the fact is that it was a transformative force. It constantly mutated, evolved and changed in reaction to events, opportunities and threats. Motivated by greed and selfishness it consisted of an incredibly diverse set of actors through its many years of existence. So at the risk of disturbing the past here are a few undeniable Empire facts. Never mind that the majority of people under 50 on both sides of the English channel only have a hazy idea of what the Empire and Commonwealth were all about. Never mind that approximately 35 million Indians died because of famines caused by British misrule, or that Winston Churchill blamed one of these famines on the “beastly” Indians for “breeding like rabbits”. Never mind that concentration camp was invented by the British Empire. Never mind that 5.5 million million Africans were forcibly taken to the Caribbean colonies by British slave traders, that the wealth they extracted came at a horrific cost and that while that wealth continues to flow through British society today, its extraction is still keenly felt in the islands of the West Indies. ( £16 to £17 billion in today’s money, or 40 percent of all government expenditure in 1834 – paid, after the abolition of slavery, to slave owners slaves were given nothing). Never mind that the Empire was a system of wealth extraction in which the lives of millions of people were disregarded in favor of the greed of the British nation and those who served it. Never mind that millions of Irish died in the Famine and the another million fled to the USA. Never mind when it was all done that the British were erratically carving up their empire into new nations, imperial officials attempted to obliterate the truth of what had happened during empire through the systematic destruction and burning of official documents. In Delhi, this destruction went on for so long that the smoke from the fires hung above the Indian capital. Never mind the bribe to the DUP. Never mind Boris Johnson when he said that the continent of Africa “may be a blot, but it is not a blot upon our conscience. The problem is not that we were once in charge, but that we are not in charge any more”. Never mind that in September of 2015, David Cameron told the Jamaican parliament that it needed to “move on from the painful legacy of slavery”, before announcing his government’s plan to build a £25 million prison on the island. If we ignore or condone the never mind attitude the story of modern Britain is, in many ways, a tale of dwindling self-regard. These imperial crimes – and many more – are either not known or glossed over, lost in the tide of colonial nostalgia and the fog of ignorance that is trying to put the Great back in Great Britain by evoking the indomitable spirit of a time when Britain bestrode the globe is a recipe for disillusionment. If its true history is ever addressed in time, a less bellicose country could emerge — wryer, more self-aware, and chastened, perhaps, by the guilty knowledge that its national success-story was built on exploitation and conquest. Such a response in Britain seems unlikely to happen, partly because many Brits do not know about – or refuse to accept – the darkness of empire. Last year, Conservative MP Liam Fox tweeted that Britain “is one of the few countries in the European Union that does not need to bury its 20th century history”. Post-Brexit, Fox is now a cabinet minister, in charge of international trade – hardly the place you want an empire booster. In January of 2016, a YouGov poll found that 44 percent of Britons (and 57 percent of Conservatives) thought their country’s “history of colonialism” was something to be proud of, and 43 percent thought the British Empire was a “good thing”. The manufacturing of ignorance that keeps English people from learning about Britain’s imperial past continues to this day. English history is not just Hitler and the Henry’s. In place of realistic forecasts, May has offered a vision entitled “global Britain”. It seems like an obvious sham constructed around a massive contradiction: that by turning our backs on our closest neighbors we will open our arms to the world. Of the over 100 former colonies, protectorates or dominions once ruled by Britain (depending on how you count them) 52 eventually transformed into the Commonwealth, although 31 are not that significant for trade.They still have populations of less than 1.2 million. Persuading former colonial countries to sign trade deals might be difficult. The Trans-Pacific Partnership recently sealed between the USA, Japan and ten other Pacific Rim countries included five Commonwealth countries. Canada has already done a deal with the EU. The UK would have to negotiate separate trade deals with its larger former colonies, if they were agreeable. Sir John Seeley once stated that the British Empire was acquired in a ‘fit of absent-mindedness’. What he meant by this was that the Empire was acquired for a variety of reasons that did not add up to a coherent whole. It assumed that British civilisation was innately superior to those it was subjugating. Gain an income on the back of his nation’s prestige and maritime exploits.The famous ‘East India Company’ had to go cap in hand to the British Government to save it from bankruptcy but not before many individual investors and directors had made fortunes. How Brexit may influence the teaching of imperial history has yet to be written. Defining the start and finish for the dates of the British Empire is not an easy task but I have a feeling that Brixit might achieve this goal. My feeling is if you can’t escape fantasies of empire, if you can’t learn about what really happened in the name of the British crown, you will never be able to imagine a new identity for the country, an identity that can speak more fully to the multicultural nation you have become. It could not highlight its Empire aspirations in a world of increasing inequality. (This is the equivalent of 214 thousand free university places or 11,500 extra doctors) Not to mention the renewal of Trident another £205 billion or the HS2 which is set to cost £27.4bn. The Royal Navy undoubtedly became a formidable military institution, but it was not always inevitable that Britannia would rule the waves. But did it turn England into a limited company, an institution, not a country or is the East India Company riding the waves again. Its plain to see that your current trajectory, careering away from Europe with some puffed-up idea about your own importance, is undoubtedly a result of this failure of education, to face up to your Imperial crimes and demonstrate humility. I’m often amazed at the lack of awareness of many British people about what actually went down under the Union Jack. Just as Ireland needs to emerge from its adolescent phase of a dwindling isolationist theocracy by facing certain issues head-on, Britain needs to emerge from its blood soaked past in the same manner because the issues won’t go away, they will always deeply underpin the prevailing narrative and culture. “British Empire State of Mind”, will take a nuanced approach and “help provide some context for what’s going on in the world today, in terms of global inequality, poverty and how Britain helped create the conditions that caused and continue to perpetuate it now”. As the UK leaves the European Union, so long as it’s a fantasy wrapped in the Union flag, with the bonkers notions that humans are divided in races, some superior to others etc the keeping of the lifeblood of commerce flowing freely will become more important than ever before. In this nostalgic la-la-land, this gung-ho attitude to empire has spread much further than the corridors of power. Its legacy is still all around us. The political imbroglio with a whole country’s future — and collective sanity — in its hands you would think that the British Crown which is a corporate sole and represents the legal embodiment of executive, legislative, and judicial governance would call a second referendum. Unfortunately a second referendum on the terms of exit are viewed as acts of treason. 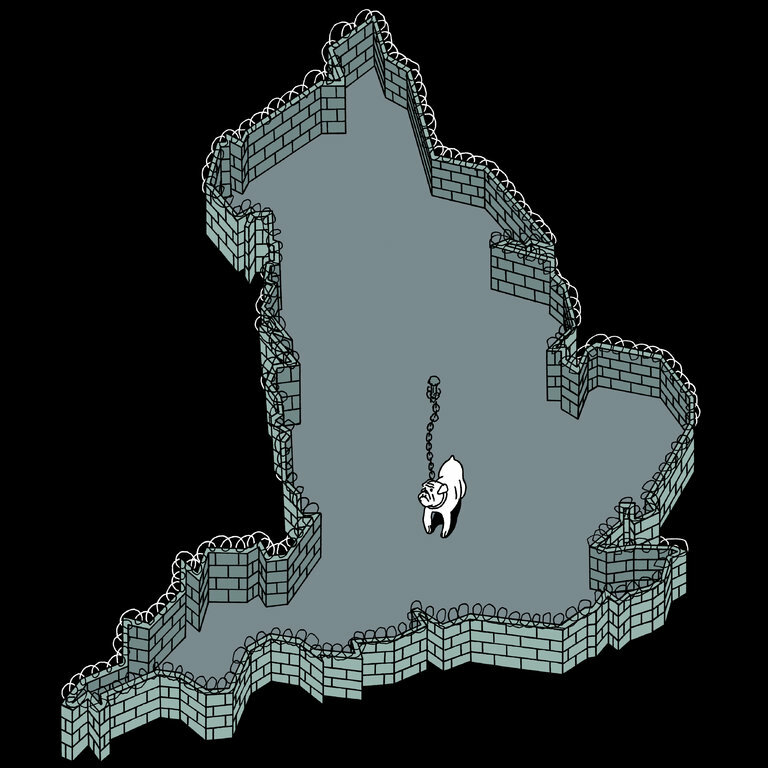 It seems, jingoism has become our asylum — a mad refuge from Brexit’s cold truths. Its time England stopped negotiating with its self and the media and start to look after its people not an Empire that does not exist.